In the heart of the French Quarter between Decatur and N Peters Streets, lies the historic Bienville House Hotel. 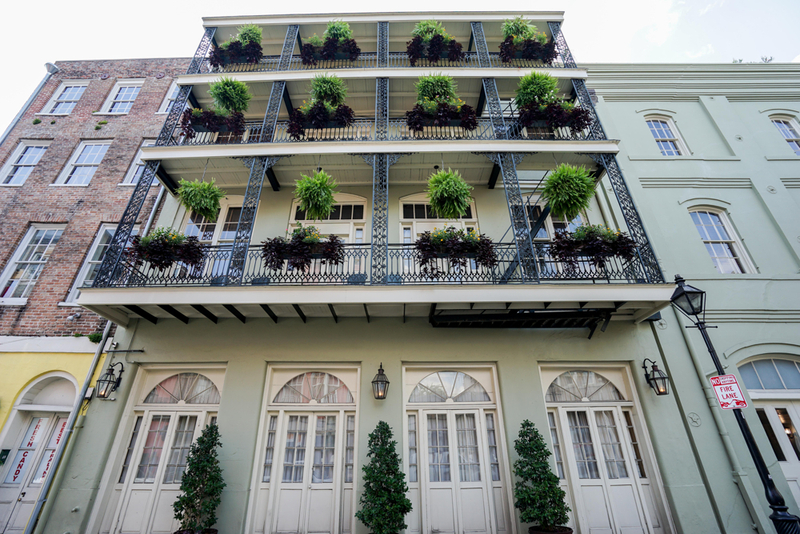 Our French Quarter hotel rooms are located in a storied site and building with a colorful past. The now upscale hotel had humble beginnings. Originating as Planters Rice Mills, the space then became home to Thompson’s Rice Mill and Southern Syrup. Under a 1936 amendment to the State Constitution, establishing the Vieux Carre as a historic community to be treasured and protected forever, the riverfront was designated as a natural and legal boundary. A city ordinance of 1946 arbitrarily realigned this boundary, selecting the woods’ side of Decatur instead. In 1963, The Vieux Carre Property Owners challenged the city’s right to supersede a state constitutional provision. The supreme court agreed and the boundaries of the Vieux Carre were restored to their historic posture. During the revival of Decatur Street, the building was remodeled into 20 luxury apartments named Royal Bienville. In the early 1970s, the Bienville narrowly escaped destruction by a nearby fire that destroyed several neighboring buildings. The building was restored to a hotel again and served as a “motor hotel” appealing to people driving to or through New Orleans. In 1972, the Monteleone family purchased the establishment. The Bienville House Hotel joined Hotel Monteleone as a family owned and operated historic hotel. 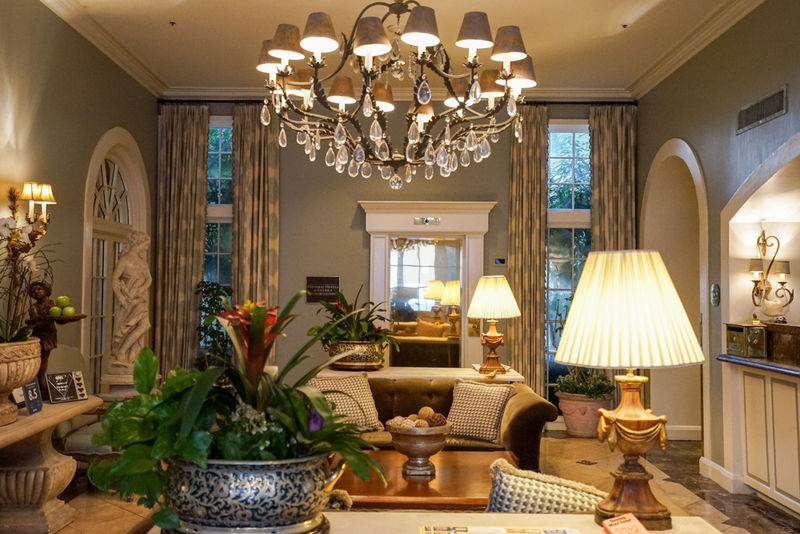 Today, Bienville House stays true to its European styling and features wrought iron guest room balconies, welcoming sundecks, and a flag stone courtyard surrounding a crystal-blue lagoon pool. Ample in-room amenities make the Bienville House a luxurious retreat from the hustle and bustle of the French Quarter. Surrounding the beautiful Bienville House are New Orleans’ most popular attractions, including the antique shops of Royal Street, the late night jazz clubs on Bourbon, voodoo and ghost tours, historic Jackson Square, and countless world class dining options. Bienville House Hotel is the perfect destination to experience the sights, sounds and soul of New Orleans. A member of Historic Hotels of America, our New Orleans hotel has been awarded a Three Diamond designation by AAA and consistently strive to exceed the standards demanded by that designation. Looking for great gay friendly hotels in New Orleans? You’ve come to the right place! We are a TAG Approved hotel located in the heart of the French Quarter. Our LGBT-friendly hotel has a European ambiance and is located within walking distance of the finest French Quarter dining, shopping, art galleries, and sightseeing attractions. The Big Easy has a vibrant LGBT scene, including many gay bars clustered around the intersection of St. Ann and Bourbon Streets. New Orleans is a city that never stops, so you can rest assured there’s something going on every night of the week. It’s best to book in advance for any of the popular LGBT festivals in New Orleans, including Southern Decadence, Mardi Gras and Bourbon Street Awards, the Saints & Sinners Literary Festival, Halloween, and the Annual Eggstravaganza (the Official Gay Easter Parade). Join us and experience the best that New Orleans has to offer. 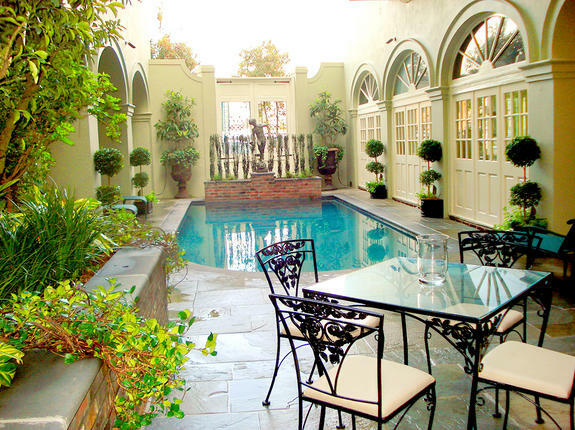 Book your stay at Bienville House today. As a member of Lifestyle Collection – Preferred Hotel Group is a global leader in the hospitality industry, delivering high-performance sales, marketing, and technology solutions to more than 600 independent hotels and resorts in over 85 countries. Its family of brands represents a collection of the finest hotels in the world. Register to be a member of the iPrefer program to receive updates, specials and amenities.